Dr. Aubrey de Grey is a biomedical gerontologist based in Cambridge, UK, and is the Chief Science Officer of SENS Foundation, a California-based 501(c)(3) charity dedicated to combating the aging process. He is also Editor-in-Chief of Rejuvenation Research, the world’s highest-impact peer-reviewed journal focused on intervention in aging. "Medicine is about transcending biology," says Cambridge University aging expert, Aubrey de Grey. 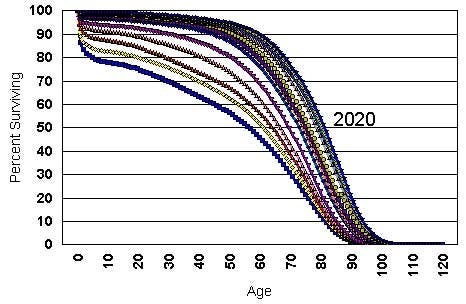 Gerontologists and demographers have argued about the biological limit to longevity for a long time, with the balance of opinion heavily influenced by the changes seen in the wealthiest nations’ “survival curves” — graphs showing, broadly speaking, the proportion of an initial population that survived to a given age. Until a couple of centuries ago, these curves looked very much like radioactive decay curves, because one’s chance of dying at any given age was pretty much the same. As medicine emerged and we became protected from most infectious diseases, the curve became more rectangular, implying a biological limit that most people were getting fairly close to. Then, since about 1960, the pseudo-rectangle has just got longer, without becoming more rectangular, suggesting no limit (or at least no close one). Very recently, however, the tip of the curve (repreenting those reaching the oldest ages, over 110) has become more rectangular again, swinging the pendulum back in favor of the existence of a limit. From a biological perspective, this demographic analysis is all a bit curious: in a sense it is obvious that such a limit must exist. 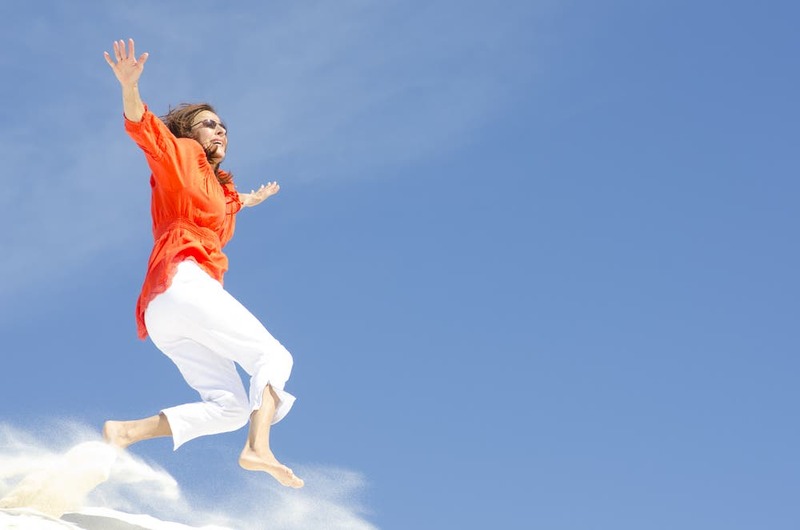 This is because so much of aging is independent of lifestyle, diet, stress level or anything else that might distinguish some people from others — in particular, a great deal of the rate of aging is determined by the chemistry associated with oxygen consumption. In a nutshell, breathing is bad for you … but it’s rather non-negotiable. So, why am I exercised about this? de Grey asks Simply because the belief in a biological limit to longevity is very often elided into a belief in a medical limit. And unfortunately, this inference is being taken seriously by influential observers and commentators, with all that that entails for public policy going forward. * I spend a painful amount of my time disentangling innumerable misconceptions about aging harbored by various groups, but this particular one ranks very high on my list of bugbears, on account of its rare combination of seductiveness and idiocy. How do we keep 50-year-old VW Beetles on the road? How did Jenner or Pasteur save so many lives, despite knowing hardly the first thing about the immune system? Technology is about transcending what nature has created. To say that the biological limits to longevity are any kind of evidence of what we can do with medicine is a mixing of apples with oranges of the most egregious nature. And the reason it matters, of course, is that those who have not the time or intellect to see through it have the power to dissipate society’s enthusiasm for attacking aging, by reinforcing the age-old belief that it is as immutable as the heat death of the universe. The result is a delay in the defeat of aging with medicine, the unnecessary loss of life and the unnecessary perpetuation of the untold suffering caused by aging. This cannot be allowed. We must clarify, loud and clear, that medicine is about transcending biology.